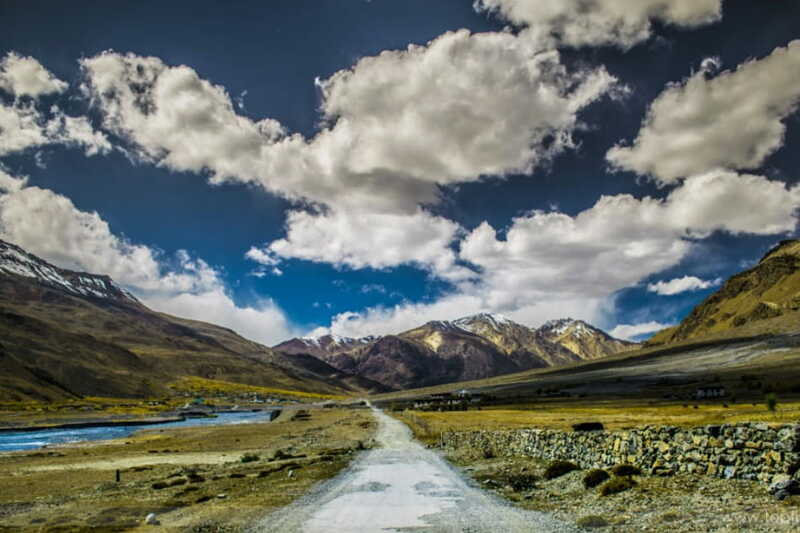 The Spiti Valley is a region which has undoubtedly the most challenging yet picturesque terrains in the country. It has some of the most high altitude villages, monasteries and snow capped mountains. There are many things that make a trek or a visit to this Spiti Valley region memorable. It has dangerous yet exciting roads and terrain.The trek here requires endurance but at the same time provides double amount of adrenaline rush. The landscapes here are stunning and unique. 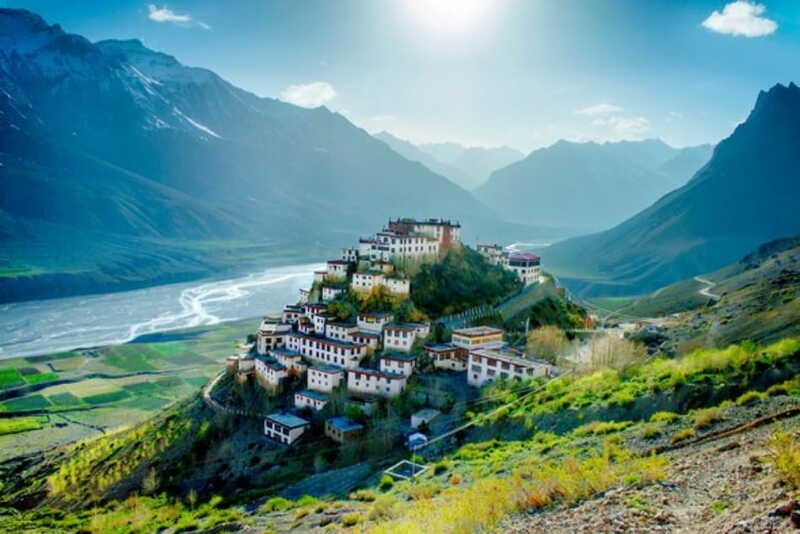 “Spiti” means the “middle land” in the local language signifying its geographical position between Tibet and India. The region has cold deserts and arid regions which have little vegetation through which many glacial rivers flow. There are high altitude mountains that form the background. Winters in Spiti Valley are harsh and heavy snowfall and weather conditions cut off the valley from the rest of the country. However, a visit to this place just at the dawn of the winter season can be actually be a great experience. It may not be the best season to visit Spiti Valley but offers some stunning sights worth marvelling which can be witnessed only during this season. From witnessing the breathtaking landscapes, ancient monasteries to meeting local people and many more such things, this visit to the Spiti Valley is something you will cherish. The Winter Spiti Valley Package that we have designed promises to be one memorable trekking and travel experience. This expedition spanning over 8 days is perfect for people who love exploring new areas and love adventure. We will cover most important points during this trip in detail just in a manner a local hailing from this place would do. 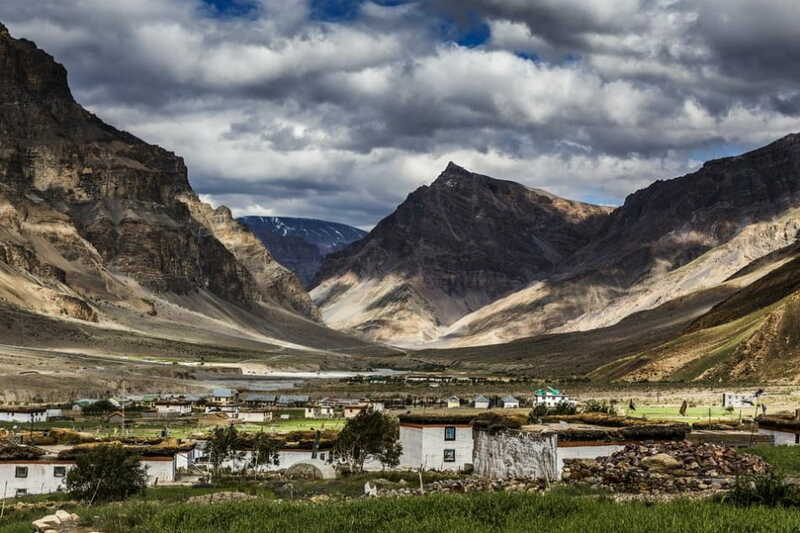 We will visit some of the most popular villages of Spiti Valley including Asia’s highest villages – Komik and Kibber and interact with the locals. We will also visit marvelous and ancient structures boasting of great architecture and historical importance like the Ki ,Dhankar and Tabo Monastery. Witnessing most of the entire region buried under snow including the Pin Valley through which the Pin river flows, will be a unique sight. The sight of entire snow laden landscape amidst a backdrop of large snow capped mountains is actually a breathtaking sight. The region has very less population which means you can be directly in contact with nature’s peace and tranquility. We will cover the whole distance through motorbikes or cars and stay in homestays to get a sense of how the locals stay here. The Spiti region is extremely remote and is almost cut off from the rest of country during the winters. There are no railway stations or airports nearby and you can only reach by road. A number of buses ply between Spiti and other major towns like Shimla and Kullu.You can also hire cabs to reach this place from Shimla. You can also rent a bike for a trip to this region. You can also reach this place from Manali and it takes around five hours. The best months to visit this place are from June to October. The temperatures and weather conditions during these times are conducive for a visit to this place. The time just at the onset of winter can also be a good time to witness the region buried under snow. However post this from December, the harsh climatic conditions and heavy snowfall makes it difficult and almost impossible to visit this region. We will start our trip from Shimla. Shimla can be easily reached from Delhi or Chandigarh by road. A number of buses and rented cars ply between Shimla and the Spiti region. We will head towards Pooh which is around a halfway distance between Shimla and Nako. We will have breakfast and lunch on the way. We will stay at Pooh in a hotel for the night. The next day we will start early in the morning and head towards Nako. The final destination of today’s journey will be Tabo and we will try reaching it by the evening. The whole route is picturesque with snow capped mountains that can be seen in the background. We will have breakfast and lunch on the way. There are a number of dhabas on the way. The road along this whole route is beautiful but has some challenging terrains. There is a bridge at Khab from where you can witness the confluence of the Spiti and the Sutlej rivers. The snowy terrain starts once you enter Nako with the snow capped mountains in the background. The frozen Nako lake can also be seen here. We will continue our journey towards Tabo. After reaching this place, we will explore the Tabo Monastery, which is a 1000 year old ancient monastery and also a UNESCO world heritage site. We will stay Tabo for the night in a homestay. Dinner will be served here as well. Today we will visit Pin Valley and Mudh. After having a good breakfast, we will head towards Mudh. Pin Valley is the base of the Pin Valley National Park and is home to a number of precious and rare flora and fauna. The region is mostly arid with the Pin river criss crossing through it and has a background of large mountains. The Dhankar Monastery, which is perched at a height from where you can get panoramic views of the entire landscape. The confluence of the Spiti and the Pin rivers can also be seen here. Mudh is the last village that is accessible by road in the Spiti valley. It is a small picturesque village and serves as a base for many other treks. We will stay at a homestay in Mudh for the night. We will drive towards the Ki Monastery today. This place is also around 1000 years old and has lots of stories attached to it. This place is an important place of learning and worship for the Gelugpa sect of the Tibetan Buddhists. This place is extremely peaceful and provides some beautiful views. Post this, we will move towards the Kibber village which is perched at a height of about 4205 metres. Kibber is around 18 kilometres away from Kaza. Make sure you capture all the stunning sights and landscapes of this place through your cameras. We will stay at Kaza in a homestay for the night. Today we will be visiting Komik which is the highest village in Asia. It is situated at a height of about 4520 metres. This village has a very less population and most people are engaged in farming. Hikkim is another place nearby which world’s highest post office. We will then visit Langza which houses an ancient temple estimated to be around 1000 years old. A number of fossils can be seen here as well. After visiting all these places we will drive back to Kaza and stay there for the night. The return journey commences today and we will do in parts. We will be driving back to Nako from Kaza. Since it is a long journey, we will take a break and stay at Nako for the night at a local homestay. The drive from Nako to Rampur is a picturesque one. We will stay at a homestay at Rampur for the night. This will be the last day of our journey. We will drive the whole distance between Rampur and Shimla. From Shimla, a number of buses bound for Delhi and other major places are easily available. This expedition is of a moderate level of difficulty. The weather conditions and terrain might be a little challenging during winters but is an equally exciting time to visit this region. During summers, the temperatures are moderate ranging from 15 degree Celsius to 20 degree Celsius. The winters are however harsh and the region experiences heavy snowfall and drop in temperatures. All accommodation options along this route will be in homestays run by locals. There are a few ATMs at Kaza and some other places but it is advisable to withdraw sufficient amount of cash from Manali or Shimla while coming to Spiti. Mobile connectivity is limited to a few places only. BSNL and a handful of other networks only work. Gloves – 1 pair of woollen gloves and 1 pair of insulated waterproof gloves.